I have some better ideas now of where to set it up, and hopefully will be able to catch something better next time. Still cool and no one stole it! On our way down Larch Mountain we stopped to explore a clearcut. My friend was scanning the area with binoculars and said something about a big hole in a stump. 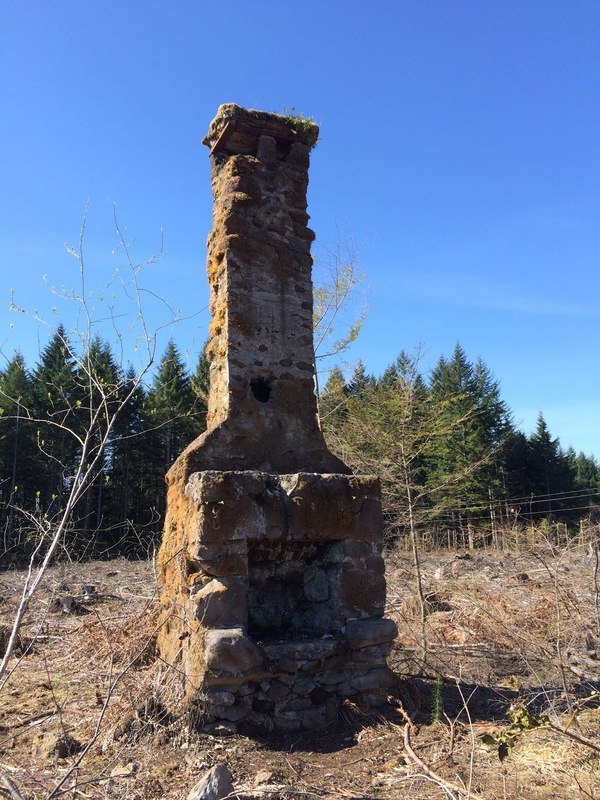 It turned out to be an old chimney/fireplace all by itself in the clearcut. While in the gorge, we visited the Bonneville fish hatchery, where there were viewing stations for rainbow trout and sturgeon. Love the first kestrel shot! And the Hummer is gorgeous.. Cool shots of the fish! Happy Birding.. I was hoping for a Sasquatch picture, but the coyote is pretty nice. Maybe next time! I'll be darned I just posted a blog with a fish hatchery visit too!! Amazing. Love that Kestrel and Moon shot...very nice, and the goose shot is awesome, what is that goose doing up there? Nice old cabin used to be attached to that old chimney I bet!! Very interesting to see the wildlife cam shots. I hope you have it set up again so we can see more. Nice that you got a coyote! I hope you get some baby kestrels!